Last year, it was found that the sugar industry paid Harvard scientists to downplay the dangerous link between sugar and heart disease. Instead, scientists were bribed to endorse saturated fat as the perpetrator of heart disease. According to Stanton Glantz, author of the JAMA Internal Medicine paper that brought these findings to light and professor of medicine at UCSF, “They were able to derail the discussion about sugar for decades.” While the paper dates back over five decades, it is not the only instance of sugar-tampering. Coca-Cola also spent millions to downplay the connection between obesity and sugar. Further investigation found many other members of the sugar industry using funding and bribery to falsify data, leading the public to believe that sugar is an innocent bystander without any detriment. For those that understood differently, like renowned British nutritionist John Yudkin, speaking out against the sugar industry not only cost him his reputation, but also his career. In his 1972 book, Pure, White, and Deadly, he sounded off on the dangers of sugar. Unfortunately, the deep pockets of the food industry rallied prominent nutritionists to discredit him, and he was successfully silenced. Vilifying fat and cholesterol became the issue that took center stage and Americans were soon propelled head-first into a prolonged health crisis that is still soldiering on today. Added sugar is everywhere and in almost everything. It’s an addiction that subtly creeps in early on in life without seemingly appearing harmful. It’s the number one substance of choice on every playground and on exhibition in vending machines around every corner in schools, lurking in juice boxes, audacious in candy bars, and silently plotting in things that scream “organic” and even “vegan”. Sugar has led to an epidemic in adolescent and child obesity rates, which have respectively tripled for the former and doubled for the latter in the last 30 years. It is a deadly addiction that wreaks havoc on the endocrine system, which is the collection of glands that secrete hormones which regulate metabolism, sexual function, sleep, reproduction, mood, as well as growth and development. Besides obesity, sugar also causes a multitude of chronic conditions such as heart disease and cancer, and in the long run is likely to turn you into a fiend in constant need of another hit. So exactly how dangerous is the addiction? Each American consumes 66 pounds of added sugar each year. Sugar is a bona fide addiction as confirmed by research from the scientists at the U.S. National Institute on Drug Abuse who found that “sugar causes changes in people’s brains similar to those in people who are addicted to cocaine and alcohol.” Once sugar enters the bloodstream, it releases opioids and dopamine which set off the brain’s pleasure center. So not only does sugar taste good, it feels good too. It’s on-par with addictions to pharmaceutical drugs, caffeine, and alcohol – and its totally legal. Sugar not only damages us on the front end when we eat its empty calories but also on the back end as it causes a never-ending craving cycle. We eat our sugary treat, feel pleasure for a bit, and then the crash comes. What happens next? The cycle repeats itself, and in due course, we end off worse than Pookie in New Jack City! Dr. Joel Fuhrman, the author of Eat to Live, says, “A diet with sugar and high glycemic index foods promotes all the leading causes of death in America. I don’t see value in cutting out sugar for a few days and then going back to eating it, but I do see value in cutting it out permanently.” The glycemic index ranks the amount of carbohydrates in a food on a scale of 0 to 100 by the way they raise blood sugar levels after eating. The foods with higher scores are rapidly absorbed and create fluctuations in blood sugar leading to weight gain, hormone imbalance and diseases like Type 2 Diabetes. The facts about sugar addiction get even more sobering. Diabetes, the disease most commonly associated with excess sugar, continues its rapid rise, as 1.5 million people are diagnosed with diabetes each year. Individuals who eat more than 25-percent of the daily sugar allowance are more than twice as likely to die from heart disease than those whose diet contained less than 10-percent added-sugar according to a study published in JAMA Internal Medicine. Some studies show that sugar feeds cancer cells. Links have also been found between premature brain cell aging and excess sugar consumption. There are two ways to break a sugar addiction, both of which are dependent on your personality type. For those who can’t go "cold turkey" right away, they should start restricting sugar slowly, reducing their intake week by week. Start the first week by lowering the amount of sugar you put in your coffee and skipping or replacing your 10 am donut with fresh fruit. Once you've successfully changed those small behaviors, up the ante by passing up on excessively sugar-laden desserts until you don't miss them that much (Tip: Mint tea is a refreshing substitute that curbs the crave). 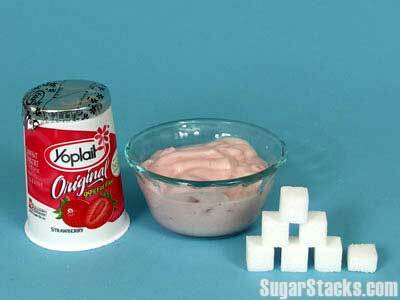 Act like a sniper and take out the obvious sugar targets one-by-one, then look for the more subtle saboteurs like added-sugar in condiments such as ketchup and BBQ sauce and replace them with better, healthier choices. Now, if you are the sort of person who can’t have one bite without having seven more, then an all-out detox is for you. Stick to a clean diet that omits all added-sugar and focus on healthy whole grains, healthy protein sources, fresh fruits and vegetables, and nuts and legumes. Read all of the labels on condiments and avoid anything that doesn’t come directly from the earth. After two weeks of cutting down on sugar or cutting it out completely, taste buds will readjust, and you won't need sugar as much as you did. In fact, a study by Kaiser Permanente showed that after six days, 86.6-percent of participants stopped craving sugar. After two weeks, 95-percent of participants reported they found sweetened foods and drinks too sweet, and they would use less or no sugar moving forward. Since breaking any addiction never comes with much ease, the road to kicking the habit can start with a gradual transition from processed sugar to natural organic types which pose less of a threat. Natural sugars are found in fruits, veggies, and dairy, while processed sugars are derived from sugar cane and sugar beets to create the synthetic white and brown granules that we all grew up knowing as the only kind of sugar. Bland food typically isn’t appealing to most people’s palate so chemically manufactured sugars are usually added to them to sweeten their flavor and give them more commercial viability, but the manufacturing process usually leads to the deterioration of all vitamin or mineral content in the food. Natural sugars, on the other hand, retain vitamin and mineral content and sometimes contain more nutrients, fiber, and antioxidants. 1. Honey – A naturally sweet viscous liquid made from the nectar of flowers by honeybees (although depending on your level of ethics this may be anti-vegan because it is technically stealing food from animals). 2. 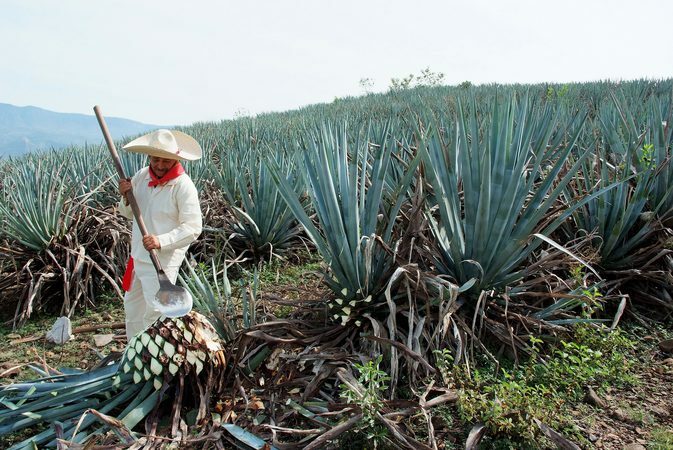 Agave nectar (although it is natural it can be as detrimental as processed sugar because it's got a higher ratio of fructose to glucose and the ideal is to always have a 50/50 balance). 3. Xylitol – a sugar alcohol used as a sweetener that is naturally found in the fibers of many fruits and veggies. It tastes a lot like sugar and has a variety of health benefits for illnesses when processed into pharmaceutical lozenges and nasal sprays. 5. Coconut palm sugar – a natural sugar produced from the sap of the coconut's palm flower buds. 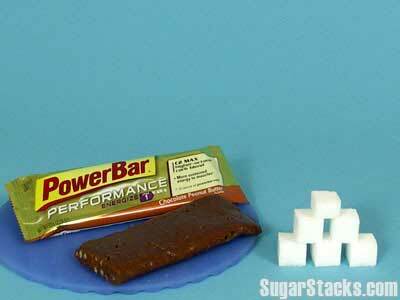 It ranks much lower on the glycemic index than normal table sugar. 6. 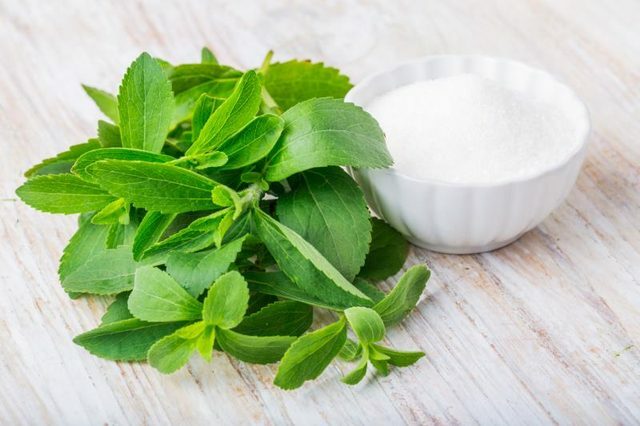 Stevia – a natural sweetener made from the leaves of the stevia plant that is indigenous to Paraguay and Brazil. It has no sugars, calories or carbohydrates and ranks 0 on the glycemic index. Low GI has become somewhat of a nutritional buzzword for marketers over the past few years right next to other terms like ‘gluten-free’ and ‘sugar-free’. GI simply refers to Glycemic Index – As mentioned earlier, it is a rank of numbers from 0 to a 100 assigned to carbohydrate foods that suggest the effect of these carbs on our blood sugar level. Various factors affect GI accuracies such as ripeness, cooking methods, and manufacturing processes. However, it is still useful for understanding how the body breaks down carbs and releases sugar into our bloodstream. Foods with carbs that metabolize slowly and gradually release glucose into the bloodstream are usually the ones classified as low GI and are considered to be more healthy because you won't have a sugar crash after consuming them like with synthetic high GI foods. Examples of low GI foods include fructose such as beans, lentils, chickpeas, pumpkin, hemp, peaches, strawberries, mangos, and mushrooms. High GI foods include corn syrup, white bread, and corn flakes. So, if we as a society know the dangers of sugar, why don’t we police it more stringently because of the damage it can do to our bodies? The simple truth is that sugar is big business. In 2003, when the World Health Organization (WHO) dared advise people to decrease their sugar consumption, the American sugar companies appealed to Congress to cut WHO's funding. Sugar barons, like the Fanjul brothers, have been known to appeal to both sides of the aisle in government to ensure that their sugar empire is not affected by trivial things such as obesity, disease, and death which can get in the way of profits. If the public placed more attention on research with scrutiny and was better informed about the detrimental effects of excessive sugar, it would threaten the 97 billion dollar industry. While there are now sugary-drink taxes taking hold in several states across the US, this legislation depends on taxpayers taking initiative to regulate the abuses and misinformation put out by the sugar barons, rather than solely relying on the government to take a harsher stance. By charging excess taxes, like those on cigarettes, consumers are being conditioned to self-regulate because of the corruption inherent in sugar's special interest groups. The shrewdest things we can do are to be active in health legislation, protest special interest groups interfering in medical findings, and cut sugar from our diets.